﻿ Clearing the Air: Is Natural Gas a Game Changer for Coal in China? Clearing the Air: Is Natural Gas a Game Changer for Coal in China? On the heels of a landmark U.S.-China climate agreement, 2015 will be a critical year for China’s environmental and energy policy. A revised and much stricter Environmental Protection Law went into force on January 1; new amendments to the Air Pollution Law are likely to be put in place; and the National Development and Reform Commission will draft a new five-year plan. 2015 will be particularly critical for the natural gas sector. 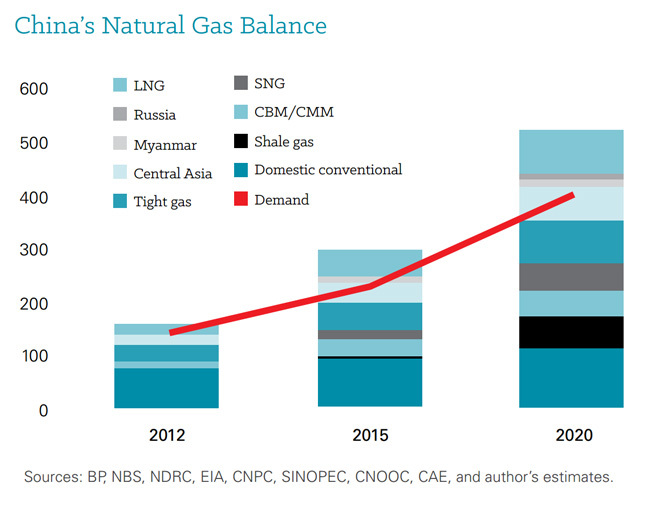 China is home to the largest shale gas reserves in the world and the government’s plans to cap coal consumption on the way to eventually stalling CO2 emissions growth by 2030 rely heavily on cleaner natural gas challenging coal’s dominance. The State Council recently set forth a target for natural gas to comprise over 10 percent of the country’s primary energy consumption by 2020. 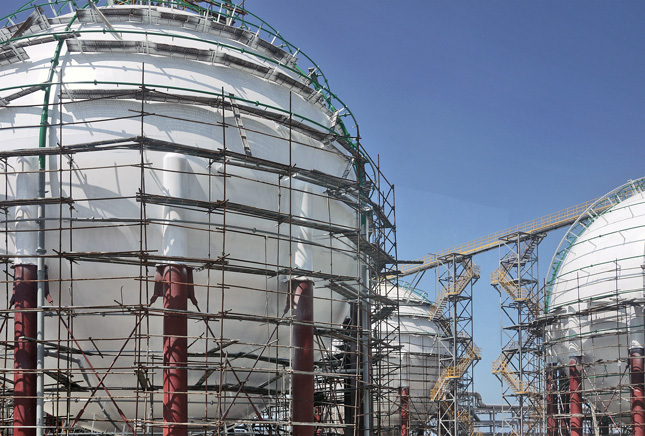 From its current share of 6 percent, the industry has a long way to go, made more difficult by the recent drop in oil prices, which has forced state-owned enterprises such as Sinopec to sell unprofitable liquefied natural gas import contracts. Still, a monumental shift from coal to natural gas is achievable and necessary, according to energy experts. In a new report, Clearing the Air: Is Natural Gas China’s Game Changer for Coal?, the Wilson Center’s China Environment Forum asked three top energy experts to explain how difficult this transition will be and what’s at stake. China’s natural gas industry will be able to meet increasing demands through a combination of domestic production and imports, says Hengwei Liu from the Harbin Institute of Technology. Domestic conventional resources will continue to be the cornerstone of the country’s gas supply, but four strategic corridors – pipelines from Central Asia, Myanmar, Russia, and imported liquefied natural gas (mainly from Qatar and Australia) – will also play an increasingly important role, providing around 102 billion cubic meters (bcm) of gas in 2015 and at least 169 bcm/year in 2020 (see below). Moreover, unconventional resources – including tight gas, shale gas, coalbed methane, and synthetic natural gas – will become a major source of supply, producing 105 bcm/year in 2015 and 240 bcm/year in 2020 to satisfy 45 percent and 60 percent of the country’s demand respectively, according to Liu’s estimates. Achieving these levels of supply, however, will require many technical breakthroughs tailored to extracting resources from China’s specific geology. Institutional reforms, such as allowing private investment to break state-owned monopolies, will also aid the transition. Liu says an open and competitive environment is critical for the pricing of natural gas to reflect market dynamics. High gas prices are critical to encouraging domestic supply, since profit encourages gas producers to keep drilling. Beijing has therefore increased domestic gas rates to match imported liquid natural gas (LNG) price levels, which are significantly higher than those in North American and European markets. Xizhou Zhou, director of IHS Cambridge Energy Research Associates, says that in a counterintuitive twist, thanks to the falling cost of coal, China will be able to absorb more expensive natural gas without passing the cost on to consumers. The current single-buyer model of China’s power market, whereby a regional utility is the only purchaser from generators, allows utilities to pool power generated from different sources and balance their supply portfolio without seeing average supply cost increase. Coal prices have dropped 40 percent over the past two years. Since the bulk of the cost of running a Chinese coal-fired unit is for fuel, the decreasing cost of coal-fired power can offset the increased cost of gas-fired power, according to Zhou. IHS estimates the reduction in coal prices has saved utilities more than RMB 500 billion ($83 billion) between 2011 and 2013. Meanwhile the total cost of the premium paid to add new gas-fired power is estimated at only RMB 10 billion ($1.6 billion) over the same period. Affordable natural gas could be a benefit not only for China, but the global energy market and international climate change mitigation efforts. Sarah Forbes, senior associate at the World Resources Institute, believes the United States should share its experiences and challenges with shale gas to help responsibly unlock this promising resource. She suggests that besides conducting substantive collaboration on environmental regulations for air, water, and climate impacts, the two countries should also address barriers to small company involvement that could open doors for more business-to-business cooperation. As the first major extractor and the largest potential supplier, respectively, Washington and Beijing should facilitate opportunities for joint research and development, exchanges, and dialogues aimed at solving the unique geological, technical, and market challenges for shale production in China. A stringent regulatory system is needed before China’s own “shale revolution” kicks off. With sufficient supply, stable prices, and strategic cooperation with the United States, 2015 can be the year that marks the beginning of the end to coal’s dominance in China. But it will only be a beginning. Download ‘Clearing the Air: Is Natural Gas China’s Game Changer for Coal?’ from the Wilson Center’s China Environment Forum. Luan “Jonathan” Dong is a project assistant at the Natural Resources Defense Council in Beijing where he works on their Coal Cap project. He was a research assistant and consultant for the China Environment Forum from January 2013 to July 2014. Sources: Bloomberg Businessweek, The Guardian, Journal of Rock Mechanics and Geotechnical Engineering, NRDC Swithboard, Reuters, The White House, Xinhua News. Photo Credit: A processing facility near Zhuhai, courtesy of flickr user Jonathan E. Shaw. Chart: The Wilson Center. Topics: China, China Environment Forum, climate change, coal, cooperation, development, economics, energy, environment, featured, natural gas, natural resources, oil, U.S.